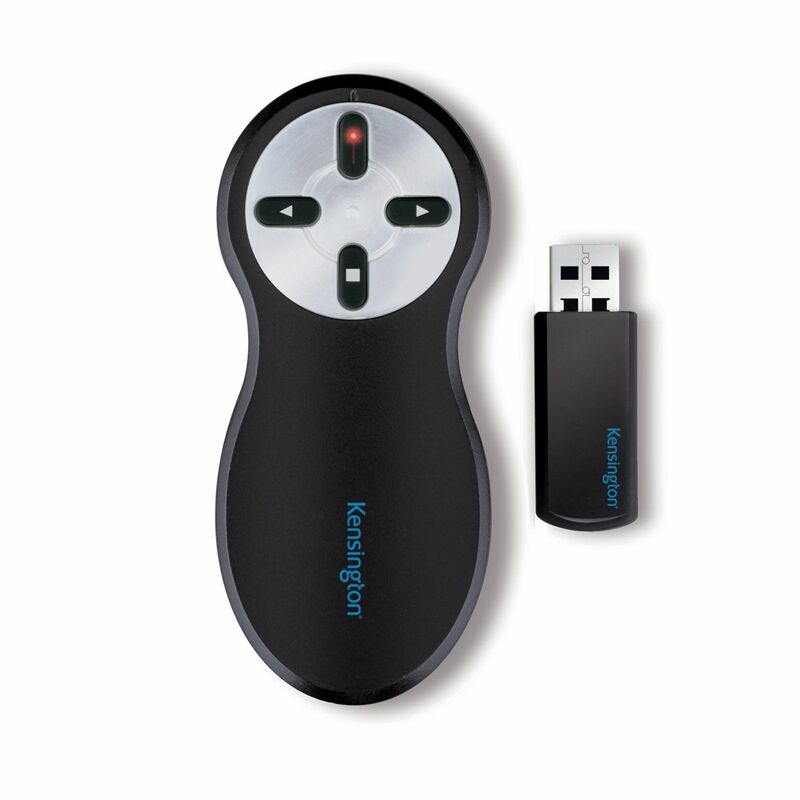 The Kensington Wireless Presenter with USB plug 'n' play red laser pointer, perfect for highlighting your main messages and making effective presentations at work. 2.4GHz wireless USB receiver prevents interference and stores inside presenter when not in use for safe keeping. USB receiver deactivates battery when inserted into presenter for storage, preventing accidental battery drain. Wireless range of up to 20 metres. Provides control of PowerPoint? and Keynote? with no drivers needed. Battery indicator light warns when battery power is low. The bright red laser beam makes illuminating your key points easy. 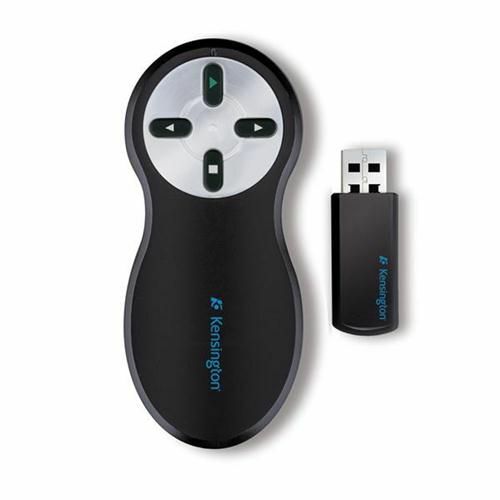 The presenter remote is ergonomically styled to fit comfortably in the palm of your hand. 2.4 GHz wireless USB receiver stores conveniently inside remote. Compact and lightweight with intuitive button controls. Controls presentations from up to 60 feet away.